The report goes on to recommend other policies, including dig-once, smart conduit rules, and one-touch make ready. Some of these policies have been challenged in other states by the big incumbents, such as the AT&T fight in Louisville against one-touch make ready. It’s no secret that Governor Bill Haslam has been content to let these same corporate gigantaurs effectively run the show in his state for some time now. Both business and residential participants cited reliability as the most important factor to them when analyzing their connectivity. Businesses also considered upload speed critical to their use of the Internet. While the survey determined that 13 percent of people in the state don’t have access to 25 Mbps / 3 Mbps, the “vast majority” were rural folks. According to the survey, 98 percent of urban participants DO have access. Those would include people who live in places such as Chattanooga, Pulaski, and Clarksville - all towns with municipal networks. Removing state regulatory barriers would allow a number of these rural areas to partner with municipalities that have already invested in Internet infrastructure. Nowhere else is this situation more apparent than in Bradley County. Cleveland Utilities (CU), the electric, water, and sewer provider in the county would like to partner with nearby Chattanooga EPB Fiber Optics to bring fast affordable, reliable connectivity to customers but state law forbids it. 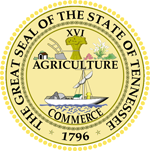 Bradley County and a number of other rural communities have appealed to state lawmakers because it is a matter of economic urgency and educational necessity for their children. They are still waiting. Bills to eliminate the state barriers have been introduced but while the number of State Legislators supporting them has increased, the movement does not have the force to restore local authority...yet. It must be hard to hold the line as expert opinion and evidence chip away at the flawed logic behind Tennessee's state barriers. It's becoming increasingly apparent that the laws do not benefit the people of Tennessee; they are in place strictly for the big cable companies and telcos that operate there.